Sharp corners and a winning combination of light blue, grey and black colors create an atmosphere of quality, trustworthy products. Order and hierarchy of the content make the page easy to scan. Slider and banners advertize the best products. Brand logos, placed above the footer are also presented in a slider. 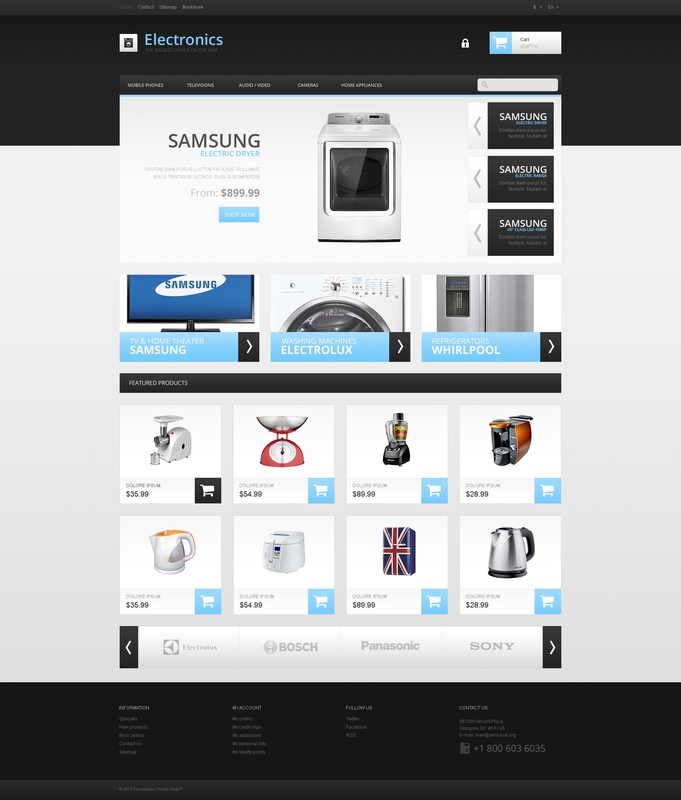 Featured products are supplied with icon based buttons and tooltips. J&#039;ai utilis&eacute; ce template pour un client, il a &eacute;t&eacute; tr&egrave;s satisfait, et moi aussi par la simplicit&eacute; d&#039;utilisation. Merci. HI, is this e-commerce/online shop easy to update and manage? Will it work with my current wordpress website?